Thank you for sharing your special day with Holiday Inn & Suites North Vancouver. Our talented and professional event planning staff is committed to making sure your wedding is exactly as it should be: Full of joy and romance. Say “I do” in our outdoor gazebo and courtyard, and take the party inside for an amazing reception in our grand North Shore Ballroom or one of our more intimate event spaces. 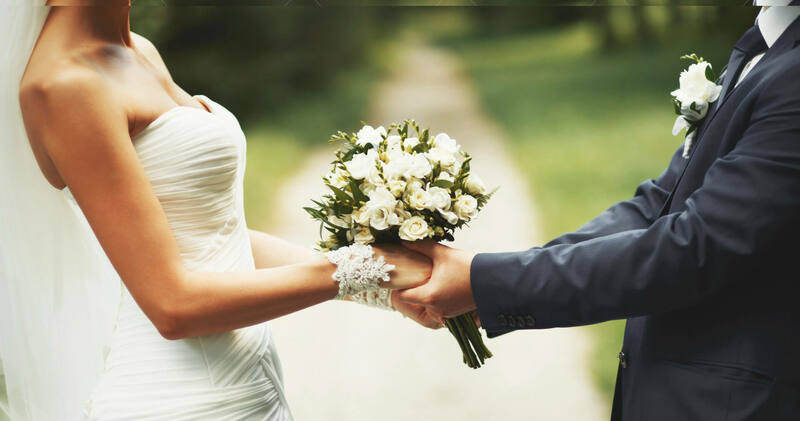 Nestled amongst the North Shore mountains and easily accessible from Highway #1, our North Shore location and event services makes us one of the best wedding hotels in the city. Begin your day with a relaxing spa treatment onsite at Blu Harbourfront Wellness + Spa, and let us take care of the rest. 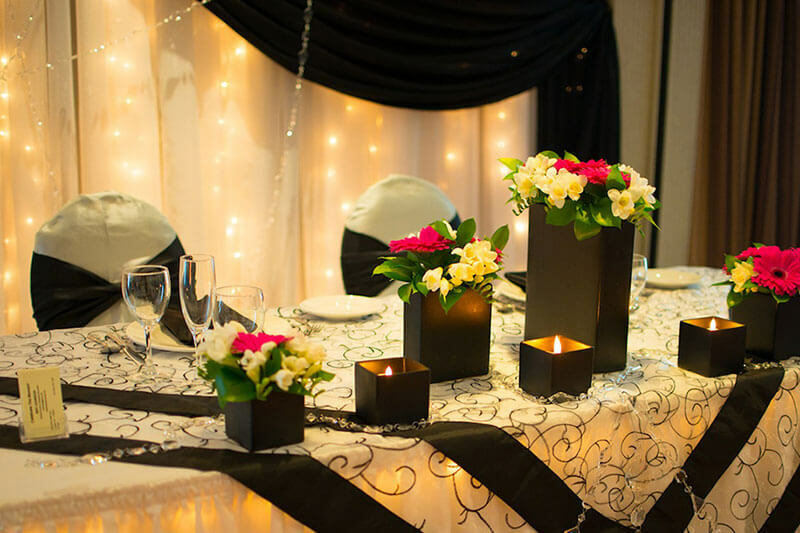 To discuss our wedding ceremony and reception services and catering options, please contact our event planning staff directly by email or phone at 604-904-2728. Our North Shore Ballroom can accommodate up to 130 people for a dinner/dance-style reception, or as many as 175 for a stand-up reception. Our staff will set up and service your function, from start to finish. We also offer several complimentary décor features for wedding reception events, including mirrored centrepieces, white linens, a portable bar and a dance floor. 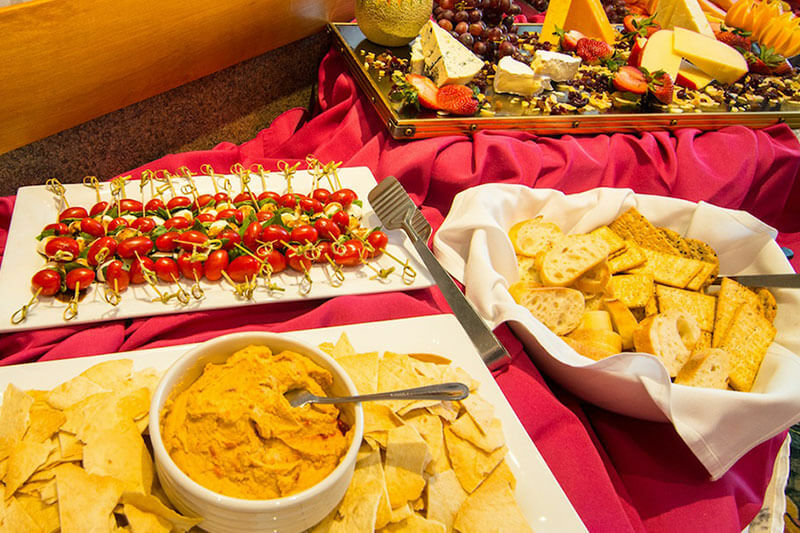 Our innovative catering team looks forward to working with you to create a customized menu for your special day. Due to local health codes and restrictions, outside catering and beverages are not allowed, with the exception of your wedding cake which we will cut for you at the appropriate time at no cost. 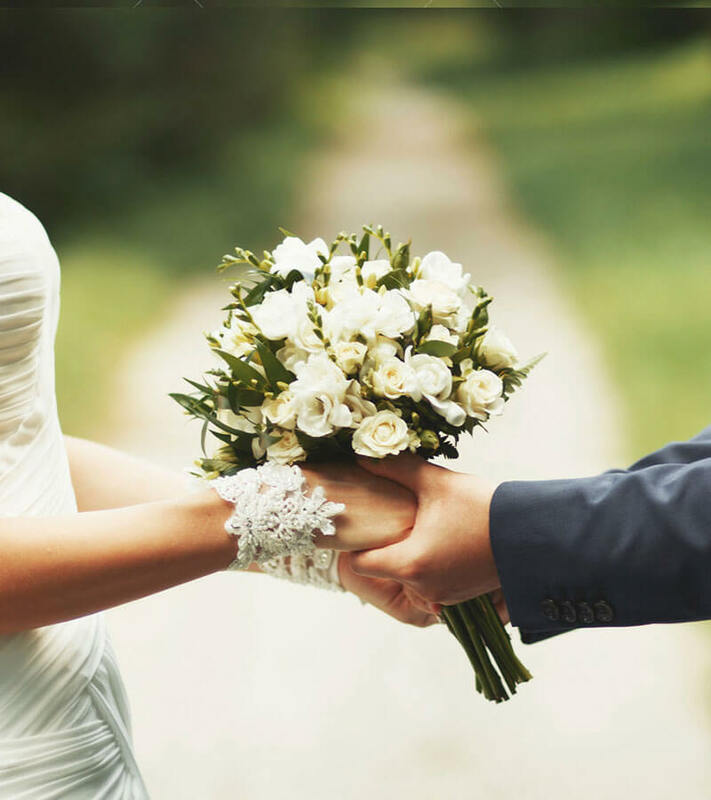 Your guests are our guests, and we are pleased to provide special rates for your out-of-town wedding guests when you reserve blocks of 10 rooms or more. Each room features a mini-fridge, microwave, a personal safe, free high speed Wi-Fi and a host of other convenient amenities to make your guests feel right at home. 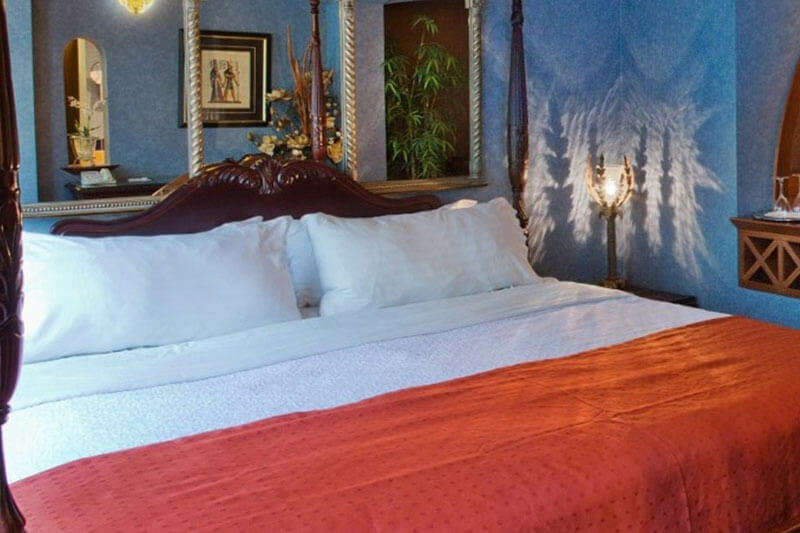 We are also happy to offer the bride and groom discounted rates in a romantic theme room of your choice; spend your wedding night in our elegant Roman Room or romantic Arabian Room for your first night together as a married couple.